This track is based on LiDAR data. The very basic thing is to go slow, especially till you get a little bit more temps and pressure in your tires. Additionally till you get in the rhythm. Getting in the rhythm is very important after long time of driving only in the best possible conditions so you would be as high as possible in the fastest laptimes tables. Forget the tables - now you are surviving. You still can use "ideal conditions" and then you'll have something what is just above damp. 1. Brake off line, and aim to go wide. Avoid puddle on the exit and be extra careful when crossing the racing line. 2. Turn in just slightly later than usually, keep the speed low to avoid puddle in the exit. 3. Brake earlier. With some cars it is much better to go wide all the way. Some cars can just slide through the slippery part of usual racing line. 4. Thousand ways to take this curve. You can slowly stay inside. 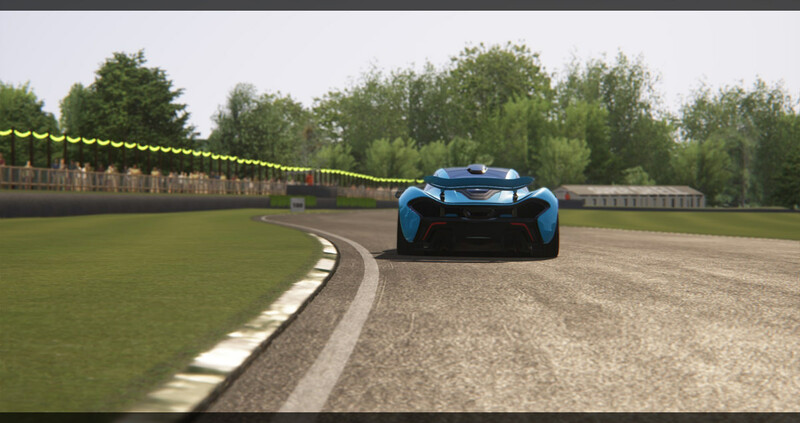 You can shooth through racing line and get grip on the outside, or you can keep outside all the way. Slippery at braking zone. 5. Slightly oily area. Keep of the racing line on entry by going wide. You will also have to go very slowly, because it is very easy to end up in gravel trap. From mid corner to exit stay very very slow, because tarmac is super polished there and rather rubbered. You can try stay in the inside to put the power down earlier or figh the car in more usual line. But don't go totally by the normal racing line. 6. Brake on inside, and stay on inside, midcorner outside is oily, rubbered and polished. 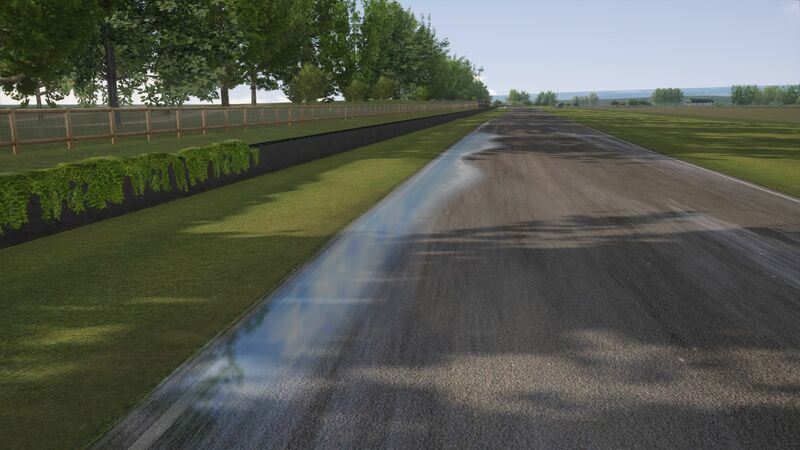 be careful on exit as you'll be crossing the racing line, and there is a puddle on the exit apex. 7. better enter slowly, so you could exit quicker and avoid very slippery are with puddles close to the kerb. Don't start as if it was your usual flat out from the first moment routine, and don't exit when you'll just spin out in the first turn, because you'll be surprised how much slower the ting goes. DrDoomsLab, Showmebest66 and Pixelchaser like this. 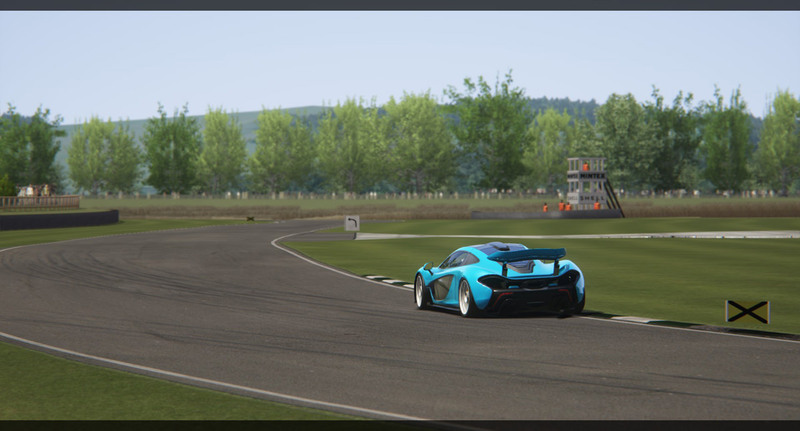 Track itself is very accurate to real life, other details very good. Lapping it in a classic mini at a similar pace to my own mini and a dtype at a similar pace to a mid pack driver in the Sussex trophy at the Revival. My favorite track in game and in real life. Excellent Improvements. Can't wait for v1.0. Keep it up! Thank you ! Me too. I hope it will really be 1.0, not 0.98 or something like that. Total finish is huge task these times when quality bar is so extremely high :) Pretty much possible only for professionals.